We know that you, as an educator, work every day to meet the goal of improving student learning. To help you reach that very important goal, we have created new technology for Galileo K-12 that is especially helpful to teachers and to curriculum and assessment coordinators. Our Field Services Coordinators are offering a series of live webinars to introduce you to these recent innovations. All webinars are recorded and can be a helpful resource for you and your colleagues. Access all of these helpful webinars on the Resources page of our website. For a personal online demonstration, contact us to set up a time and date that work best for you. Sensitive to the importance of incorporating dynamic digital curriculum with research-based assessment, actionable reporting, and effective instruction, ATI has developed the Galileo Digital Curriculum Platform. The fully integrated platform supports the easy integration of existing curriculum content, the development of new curriculum content, and the modification of curriculums as needed. Through the platform, districts and charters can disseminate and manage curriculum, facilitate data-driven instruction, engage students in multimodal interactive learning, and evaluate curriculum impact on learning outcomes. Learn more by viewing the presentation slides. For more information on how to join those districts already implementing the Galileo Digital Curriculum Platform, contact our friendly Field Services Coordinators. Arizona became the first state to require students to pass a Civics test in order to graduate from high school. Similar efforts are being made in other states. Students have to pass 60 of the 100 questions on the Civics test, which is based on the U.S. Immigration and Naturalization test. They can take it first in 8th grade and can retake it until they pass. There’s no limit to the number of times the test is administered. Many of you are aware that ATI has been offering the Civics test for a while. The U.S. Immigration and Naturalization test is an oral test but this format was not practical in the school environment. Originally, ATI wrote its own distractors for the multiple-choice questions, but after the Arizona Department of Education released four multiple-choice options for each question, we have incorporated those options. ATI offers two versions of the test: 1) only multiple-choice questions (108 items); 2) multiple-choice and educator-scored questions (100 items). The difference in length is due to the questions about the nine current U.S. Representatives for the state of Arizona. Questions 100-108 on the multiple-choice assessment ask about the representative of each of the nine congressional districts in AZ, while this is just one, educator-scored, question on the other version of the test. It is helpful to specify which version of the Civics test you’d like when requesting the test. Multiple copies of this test can be provided. Please inform us of the quantity when making the version request. Because the test is subject to frequent changes related primarily to changes in office holders, it is not always prudent to make requests too far in advance. ATI can offer the test for review. The 20th Amendment to the Constitution specifies that the new session of Congress begins on January 3 and the term of the President begins on the 20th day of January. As the Civics test asks these questions in the present tense, ATI will be replacing the questions that have been affected by the election at those times when the correct answer has changed. Clients interested in the post-election test can request the updated version on Friday, January 20, 2017. Please note that these will be new items and will not be updated on tests that have already been delivered. Because it is necessary to change the Civics test often, ATI will start placing the date of the last revision in its title. This procedure will ensure receipt of the most current version and help avoid confusion. 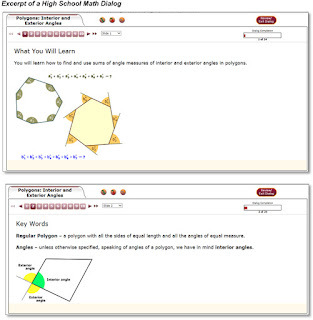 Galileo K-12 Online contains a vast body of instructional resources in reading/language arts, mathematics, and science in the form of Instructional Dialogs. Galileo Instructional Dialogs are customized, interactive, online instructional lessons and assignments that are aligned to standards and designed to provide practice and instruction to increase standards mastery. 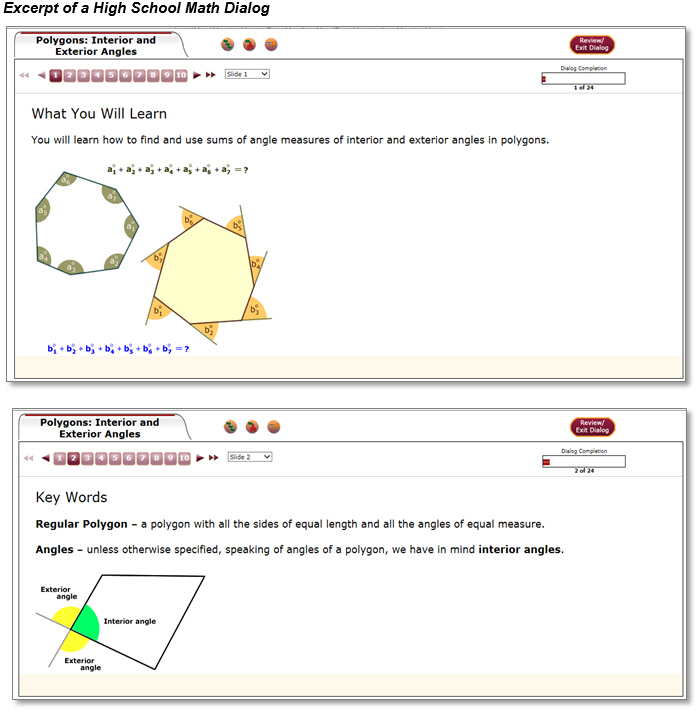 Each Dialog is a series of slides that can be used as a teacher-led lesson for the entire class or as an independent assignment used by a student or group of students. Dialogs are an excellent way to provide students with experience with technology-enhanced forms of assessment similar to those encountered on statewide assessments. Teachers have access to over a thousand Instructional Dialogs in Galileo developed by ATI’s experienced Assessment and Instructional Design team. Additionally, Instructional Dialogs are an excellent time-saving resource for teachers. In Galileo, teachers can schedule existing Dialogs, build their own Dialogs, and even modify existing Dialogs to tailor them to their goals and students' needs. Dialogs built by one teacher can be shared with other teachers through Galileo K-12 Online. Dialogs can be assigned to individual students, entire classes, or district-wide. The flexible nature of Instructional Dialogs enables teachers to use them as a presentation-style lesson in front of the entire class, as a student-focused task in a lab or one-to-one computer resourced classroom, or even as an assignment outside of class for students with Internet access. To learn more about using Instructional Dialogs, please contact our friendly and knowledgeable Field Services Coordinators.